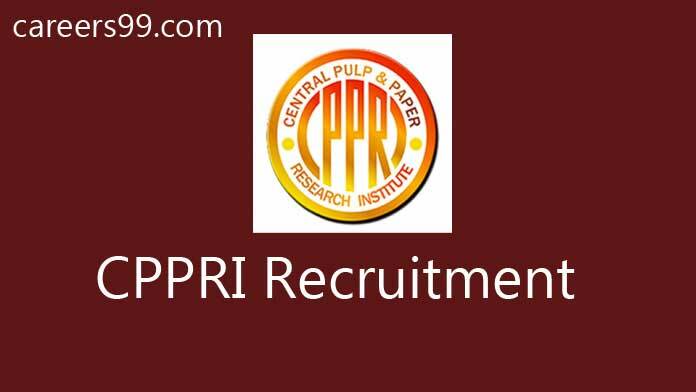 CPPRI Recruitment 2018 Job alert both Fresher and Experienced can get updated on 25.10.2018 notification on recent Central Pulp & Paper Research Institute recruitment 2018 openings @ Saharanpur. This is an exclusive page updated on 25.10.2018 for the latest recruitment notification cppri.org.in from CPPRI 2018 it contains both active and recently expired Job openings and recruitment notification from CPPRI 2018. 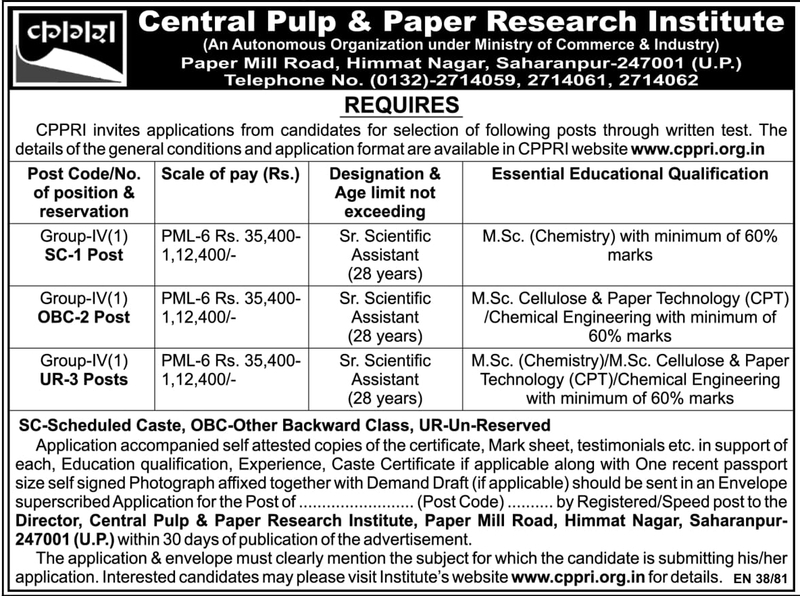 Interested Job Aspirants who are ready to apply for Central Pulp & Paper Research Institute 2018 Notification must possess the below-given Eligibility Details. Jr. Research Fellow M.Sc. Chemistry /M.Sc. Cellulose & Paper Technology /M.Sc. Environmental Science or B.Tech (Pulp & Paper/ Chemical Engineering) Preference will be given to the candidate having experience in Pulp & Paper. Eligible and Interested Aspirants are requested to Download Application Form from Below link of cppri.org.in Website and Submit it to the mentioned Address before the Last Date i.e., 24.11.2018.